It all started on Feb. 19, 2009, when CNBC Business Editor Rick Santelli railed on the air against the Obama administration's plan to bail out people with expensive mortgages and suggested having a "tea party" protest in July. It has since blossomed into the tea party movement — the most dynamic, influential, and revolutionary political force in modern American times. 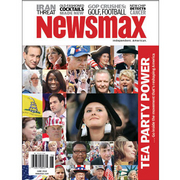 Newsmax magazine's special report "Tea Party Power" goes inside the movement as never before. Our in-depth probe names and uncovers the real leaders — often hidden from public scrutiny — who are shaping this truly grass-roots movement, dubbed by some The Party of the People. The tea party is estimated to have 15 million-plus members — and will play a crucial role in November's midterm elections as well as the 2012 race for the White House. For the first time, Newsmax magazine reveals some of the key players — politicians, celebrities, and even everyday folks — who are the power engines behind this transformative movement. 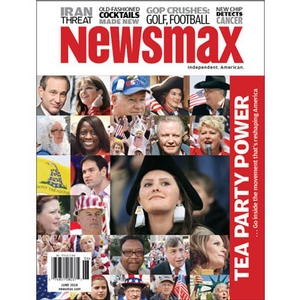 Our Newsmax "Tea Party Power" report also features exclusive interviews with Santelli and other key tea party activists, including Lloyd Marcus, Rev. C.C. Bryan, and Ryan Hecker. The Obama move that "awakened a sleeping giant"
Florida's Tim Curtis — a "tea party Democrat"
The Tea Party Patriots' "Contract from America"
Grassley: GM loan payback is "TARP money shuffle"
What do Republicans watch on TV? Our in-depth probe names and uncovers the real leaders — often hidden from public scrutiny — who are shaping this truly grass-roots movement.